Moooove on over and make room for the John Deere Farm Trailer and Cow Go Grippers set. These toddler toys are ready for playtime. 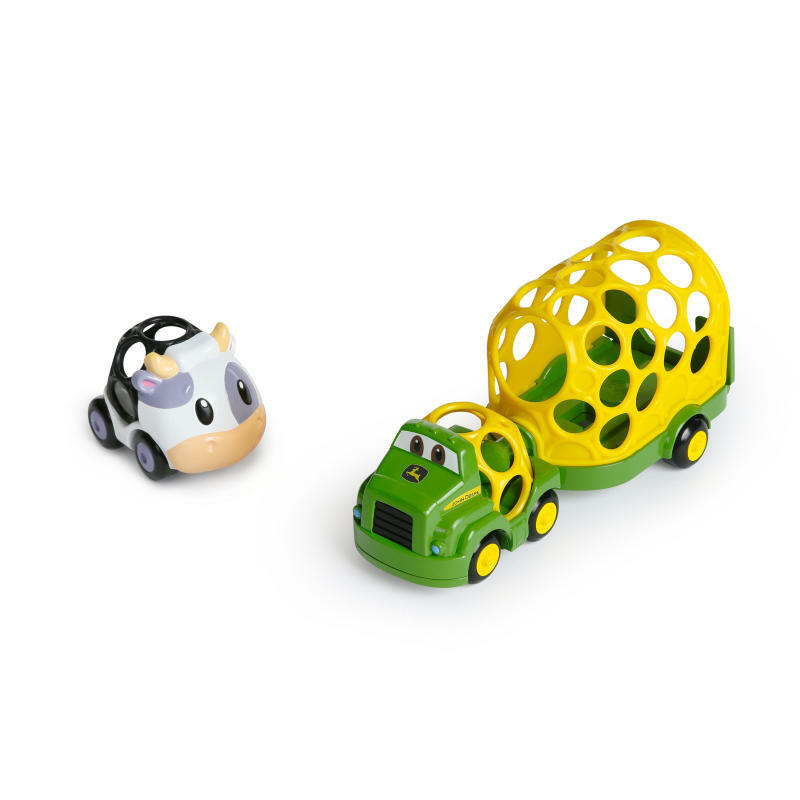 The John Deere themed cars invite baby to roll out a wide field of fun and sow his own imagination. The wide open back of the Farm Trailer makes it easy for baby to round up a barnyard of other Go Grippers. And the unique Oball design makes it easy for even the littlest farmers to carry these cars on the go. Dimension (in) 8.58" x 4.07" x 4.09"